This is a Chevrolet Police cap for Smoothie wheels with 7 1/2 inch back inside diameter. 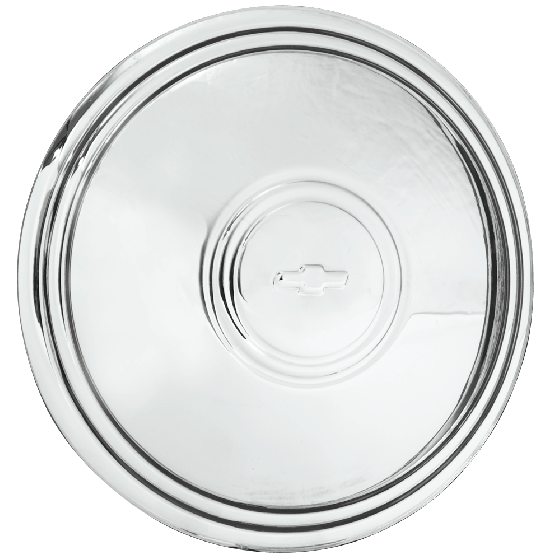 These classic Chevy police car center caps feature the bowtie emblem embossed in the center of the cap. 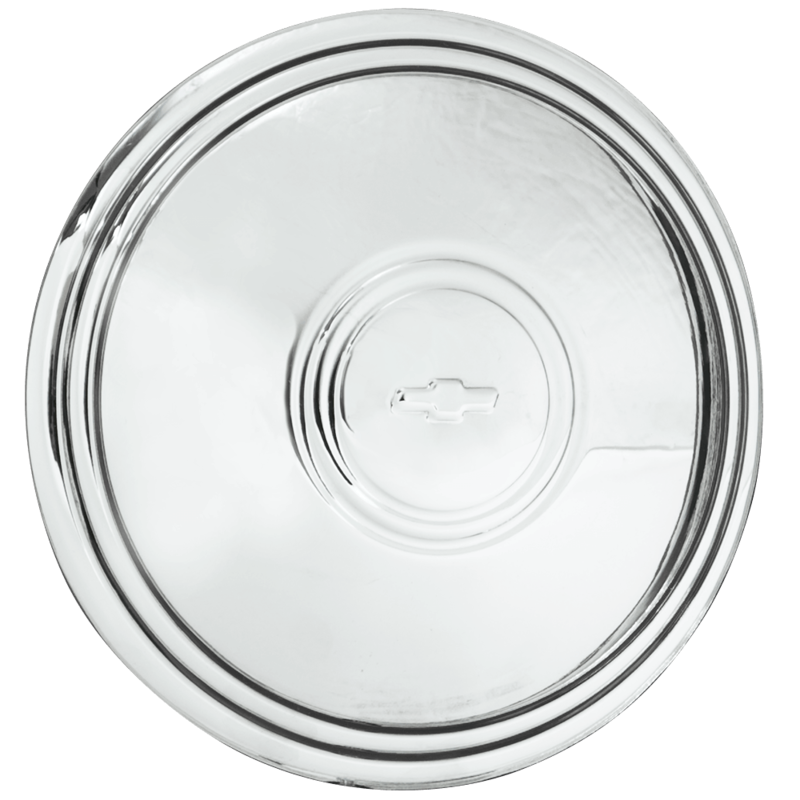 These Chevy Police Hubcaps fits our Smoothie wheels, 14" to 16" only. Please check your actual wheels required cap fitment size. Chevrolet Police Cap For Smoothie 7 1/2 Inch Back I.D Will these fit OEM corvette rallye ? The Corvette (Chevy) Rallye wheels require caps with a 7" diameter. The Police cap with 7" diameter can be found here. Sorry, we do not have a source for Smoothie wheels that are compatible with a 2006 Chevy HHR. What is the height of the hubcap - I have fender skirts on my car with tight clearance. This cap is 2 3/8" in depth from lip to crown.